It’s a fact that travelling alone is much easier than in company. You can do whatever you want, go wherever you like, change the plan whenever you feel like. In group travelling everything has to go as planned and even the minor changes need democracy. It’s a fuss. But family travels are the worst to handle specially if there are kids involved. The things that need to be taken care of increase 10 times in number. The flight should not be too long for the kids to get irritates. Choose the night flight; it helps to keep them calm. If your toddlers do not sleep through the night yet, avoid the night flights. If your destination falls in a different time zone, adjust your kid’s sleeping hours accordingly. Do not go to the airport by train or taxi as by the time the kids are in the plan they would already be weary and anxious. Drive in your own car as it would be like a routine for them and the terminal would be like their regular mart trip so they will be much less anxious. Pre-book meet and greet Gatwick parking. As dragging the luggage with kids to the terminal from the parking will leave you exhausted already. Give each kid a goodie-bag filled with non-sugary edible. Keep a fully charged tab/iPad with songs, poems or games of their preference. It will help sooth them. Kids should be seated so that other passengers are not disturbed. Tip: No number of tips will get you through air travel perfectly with kids. Some habits of kids are not common so you have to improvise. 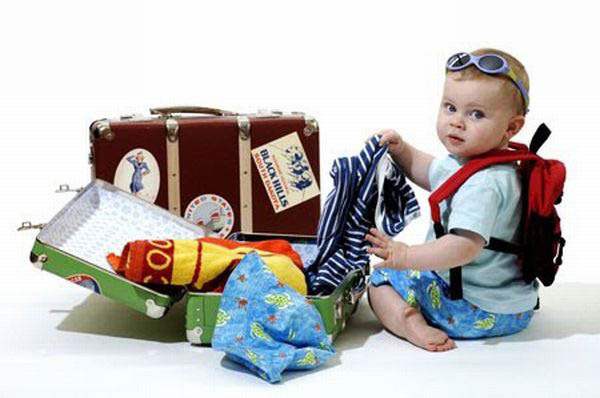 In case you need further guidance regarding travelling with kids, post your quires in the comments below. Also Read: How to Find Best Deals for UK Airport Meet and Greet Parking? Previous PostHow to Find Best Deals for UK Airport Meet and Greet Parking?Next PostExclusive Spring Offer on UK Airport Parking Deals 15 February 2016.